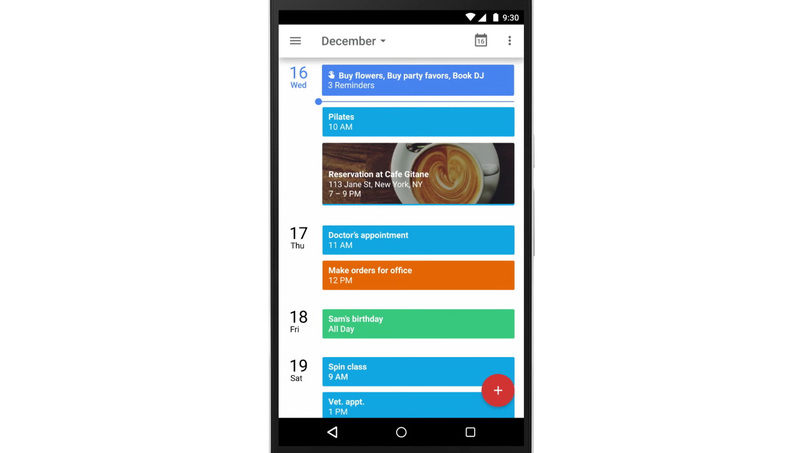 Your Google Calendar is getting a new feature this week – reminders. Instead of always creating events for everything on your plate, including your upcoming to-dos, you can now set a reminder to complete a task. An update is rolling out this week on both Android and iOS to enable the feature, but Google plans to include it in the web version of Google Calendar as well. So how doe reminders in Google Calendar work? It’s pretty simple. Once update, you will hit the floating action button in the app to choose between creating an event or a reminder. If you choose reminder, you can then set a reminder for a to-do that needs taken care of. Reminders differ from events in that events come and go, whereas reminders hang around in your calendar, always present until you take care of them or mark them as done (you can swipe them away). With reminders in Google Calendar, you also get access to phone numbers and addresses, just like you do with events or in apps like Inbox. Calendar uses both access to your contacts and their own knowledge graph to pull in this information. In related, yet huge news, these new reminders work across (most of) Google. Google says that you can create reminders in Inbox, Keep, and Google Now, and see them show in Google Calendar. FINALLY. The updates will begin rolling out this week. As that happens, we’ll be sure to let you know.